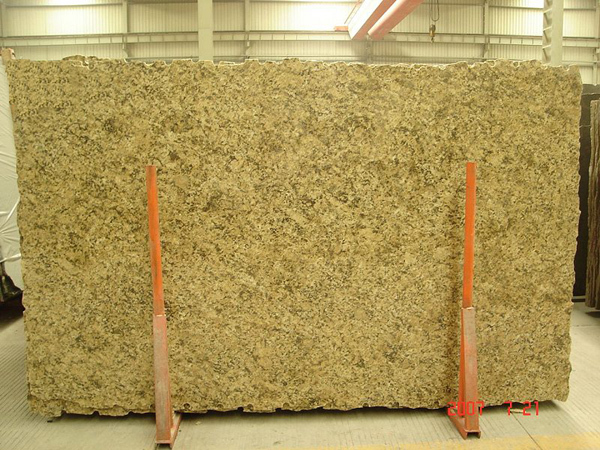 This material is Giallo farfalla, suitable granite Slab such as thickness 3/4" (20mm ) or 1 1/4" (30mm), with 5' up x 8' up ( 1300mm up x 2500 mm up ) , can be polished, honed, flamed, sandblasted, or other processing surface. this material also can be made into granite countertop, vanity, tub surround or other stone products, also can be made into all kinds of granite tiles . Their size can be customized! if you need more information, welcome enquiry us.